Inquiries from the media should be made to Hege Brincker Fjerdingstad by email or telephone. All patient inquiries should be made by email to Hege Brincker Fjerdingstad. The Center can not administer patient inquiries made through any other channels. Group leader Jan Brinchmann and associate member Lars Engebretsen, together with Helena Brisby of the University of Gothenburg, have been awarded 10 million NOK by the Olav Thon Stiftelsen to support their translational studies employing genetic manipulation of cartilage to prevent the progression of arthrosis, and stem cells and tissue engineering to generate laboratory-made cartilage for the clinical repair of damaged cartilage in the knee joint. We congratulate project leader Lars Engebretsen and Jan Brinchmann for this prestigious award! 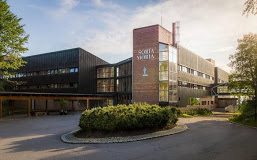 It is a pleasure to welcome you to the 15th Annual Norwegian Stem Cell and Regenerative Medicine Networking Conference to be held at Soria Moria Hotel on September 17th-18th, 2018, Oslo. This is the premiere conference for stem cell and regenerative medicine research in Norway, and provides an excellent opportunity for stem cell researchers throughout the country to interact both scientifically and socially. The conference is organized by the Norwegian Center for Stem Cell Research and the Center of Excellence Hybrid Technology Hub, and sponsored by the Norwegian Research Council and the University of Oslo Life Science Program. The scientific program will include presentations by participating PhD candidate, postdocs, and by our invited international speakers. In addition, there will be several company exhibitions. The best PhD student presentation will be awarded with a plaque and a NOK 1000 prize! Registration deadline is 15th of August. Please note that only a limited number of hotel rooms will be available for participants from outside Oslo.